Thanks for stopping by our Murder For Two sheet music store! We're thrilled to finally be offering piano/vocal selections from the show (with arrangements by composer Joe Kinosian). Take a gander below and make your selections. Immediately after paying through PayPal, you'll receive an email with download instructions. Don't hesitate to let us know if you have any questions. Please note: sheet music is being sold for personal use only. 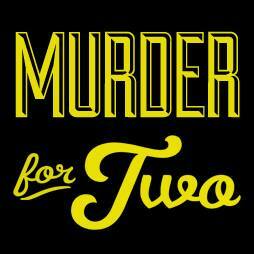 For licensing inquiries, please reach out per the instructions at www.murderfortwomusical.com. Once purchased, please don't copy and/or share sheet music with others. We respectfully ask you to direct other interested parties to this website. *Tracks from the original cast recording may not match piano/vocal score exactly (for example, some dialogue has been removed for the purposes of this sheet music). Copyright 2016 Kinosian and Blair. Picture Window theme. Powered by Blogger.